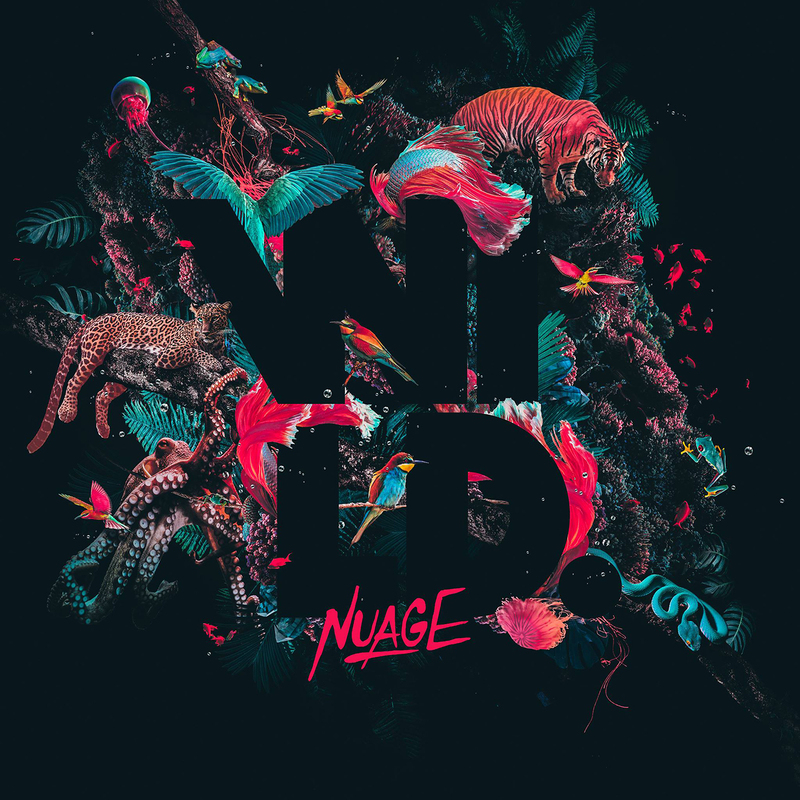 “WILD” is the most complete musical work by Nuage up to date. Following a thought-out plan from beginning to finish – with a real introduction, development, and conclusion – the album is influenced foremost by the sun, sea and tropics. The music slowly evolves from warm and uplifting songs towards colder and more mysterious realms. Taking a full year to finish the album, including the entire change of season from summer to winter, memories of trips to Mexico, the mountains, and the seaside fade away and are replaced by days at home and in the studio in cold St. Petersburg. At the same time the music itself goes through a very personal development from outgoing moments to parts of personal reflection. Without adding too much weight or philosophy to the music, the album is an easy and natural listening experience that explores contrasting and at times contradicting themes between summer and winter, cold and warm, introverted and extroverted and many layers in between, while also harmonizing the musical past, present and future of Nuage. 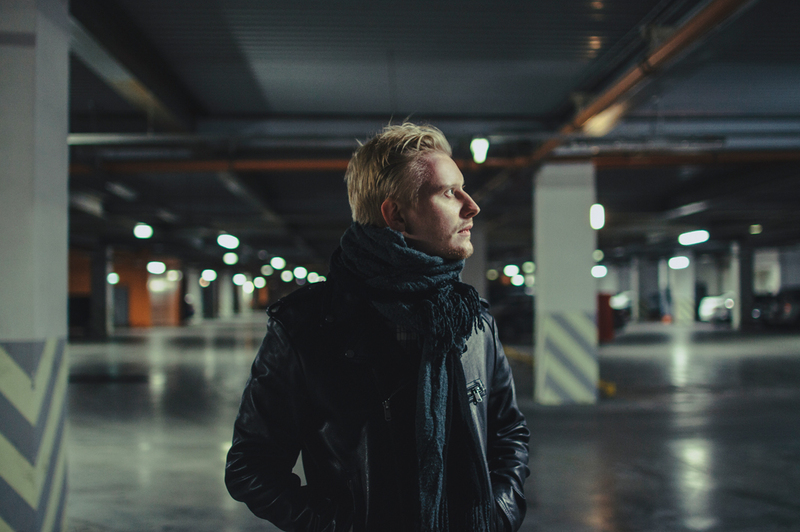 Following his critically acclaimed “Neida” EP from 2015 (FACT, BBC Radio 1, thump, XLR8R, Clash, Ransom Note, among many others), “WILD” comes out worldwide in limited colored double vinyl and features such guests as his friend BOP, Brooklyn based BAILE, Olga Maximova (Harp), and Belle (of Left Rib). Artwork by Greg Haynes aka Fybe:One. A&R: Gordon Gieseking & Malte Tarnow. Mastering by Sven Friederichs. 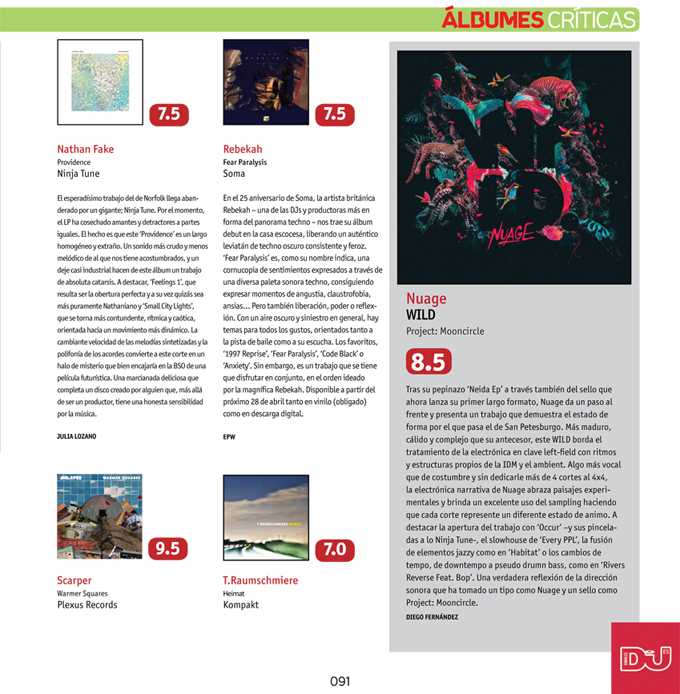 There’s a warmth and cosiness to his productions – a mix of neo-classical ambience, sultry future 2-step and feather-light deep house – that are undoubtedly due to hunkering down, but others are the sonic offspring of memories of summers..
Nuage expands on emotionally charged, elevating music with his latest LP “Wild”. Title Track is super beautiful! Whole album is great in fact, very unique production & sounds. What an album! Whatever I say here is nothing compared to how good this release is! More uptempo than I’ve come to expect from PMC and the quality and instrumentation is still there…. BIG fave! Enchanting, walks a fine line between being almost too accessible and still being credible and deep. Right up my alley! Big up Project Mooncircle! Really beautiful and lovely sounds here. Nice movement too. Sounds like a winner as usual from Project Mooncircle! Nuage is truly planning to push himself further than ever! The narrative electronics of Nuage embraces experimental lovely landscapes and provides an excellent use of sampling. „WILD” die Postkarte aus dem Urlaub ist, zeigt sie den klassisch kitschigen Sonnenuntergang über dem Meer. Schon hundert mal gesehen, kann er ab und an noch immer begeistern. Wolken liegen wie Schlieren über dem Horizont, überziehen die leuchtenden Farben mit leichter Blässe. Ok, lassen wir das, es gähnt schon wieder. „WILD“ ist einfach eine schöne, gediegene House-Platte. Tut nicht weh, läuft rund, läuft durch. Und ist irgendwann wieder vergessen. Wie das eben so ist – mit Postkarten. Nuage’s new album for the always reliable Project Mooncircle is an aural delight from beginning to end. Der russische Produzent läuft nun zu Höchstform auf und legt 13 Titel vor, von denen kein einziger als Ausfall oder Lückenfüller bezeichnet werden kann.